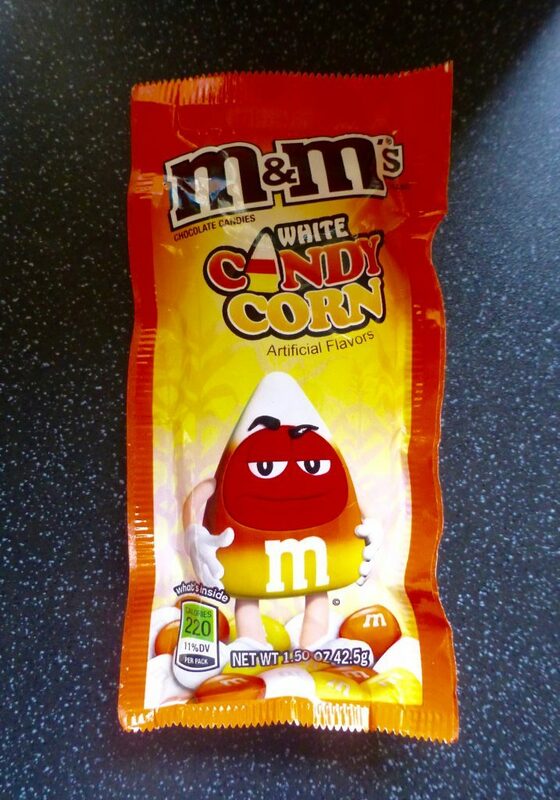 The Monster Munchies Halloween series continues with M&M’s White Candy Corn. We have already had Peanut Butter Candy Corn which is something that should never be made again, but I am hoping these chocolatey numbers fair better. 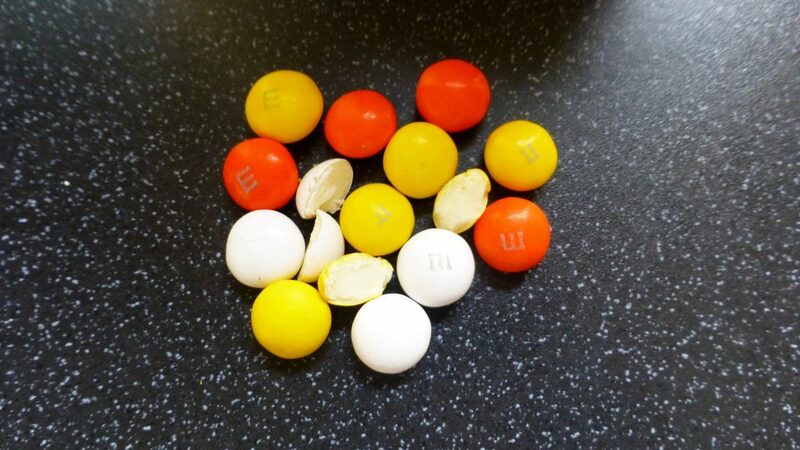 Another little treat from across the pond, M&M’s have turned all spooky with their orange, white and yellow shells, even Red has got his candy corn on much to his disgust. 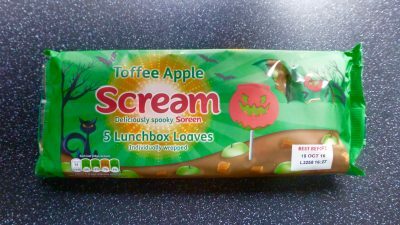 I picked these up from American Fizz for a bargain import price of £0.99. Don’t you just love how artificial flavours is blazoned on the front all load and proud. These were pretty sizeable compared to normal M&M’s, which I much prefer as the ratio just seems so much better. Popping a few in in one go, it has to be done, the shell was thick and crisp making way to the white chocolate filling. Come to think of it the shell certainly seemed thicker than general M&M’s. The filling is quite solid but incredibly smooth, the white chocolate flavour is there but is fighting with this incredible sweetness, it’s a bit like icing or frosting. Aside from the vibrant colours the candy corn element only really comes through in the heightened sugar rather than a little honey flavour, making these more just like white chocolate M&M’s. As far as M&M’s got these aren’t half bad. I wouldn’t necessarily go out my way to buy these again as there are far nicer M&M’s out there, however despite their sweetness they are pretty addictive and I couldn’t help myself, thank the Lord I only got a small bag! 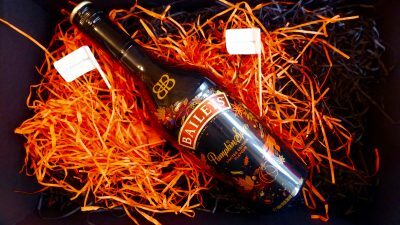 See you all tomorrow for the next Halloween instalment!